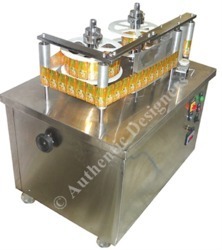 Leading Manufacturer and Exporter from Noida, our product range includes Automatic Rewinderl Machines such as Automatic table top Rewinder Machine, Side oding Rewinder, Center Loding Rewinder and many more items. Our organization has gained recognition as a flourishing organization for providing Automatic Centre Loading Label Rewinder Machine. The offered rewinder machine is manufactured using optimum quality components and innovative technology under the supervision of skilled professionals. Our provided rewinding machine can be availed in varied sizes and designs as per the requirements of the clients. 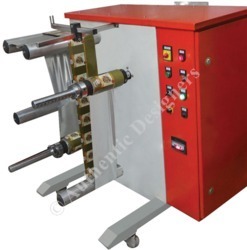 Besides, our prestigious clients can avail this rewinding machine in varied designs and sizes from us. Laminate Rolls, Paper Rolls, LD Rolls. AC Variable Speed Frequency Drive for constant tension control 2H.P. 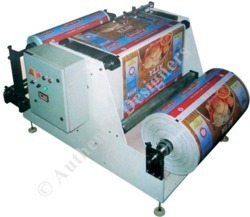 We bring forth extensively designed Mini Label Rewinder to our respected clients. Our offered rewinder is precisely developed and designed by adopting prevailing technology and optimum quality components to ensure its long-term functionality and reliable. Heavy-duty machine for Continuous running. Our organization has gained recognition as a flourishing organization for providing High Speed Side Loading Label Rewinder Machine With Hologram Aplicator. The offered rewind er machine is manufactured using optimum quality components and innovative technology under the supervision of skilled professionals. Our provided rewinding machine can be availed in varied sizes and designs as per the requirements of the clients. 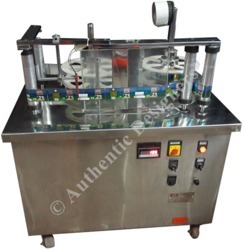 Besides, our prestigious clients can avail this rewinding machine in varied designs and sizes from us.